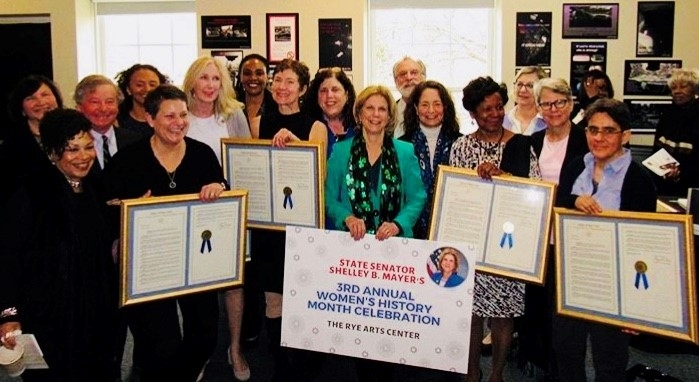 On Saturday, March 23rd State Senator Shelley B. Mayer hosted her 3rd Annual Women’s History Month Celebration honoring women from the 37th Senate District who have made significant contributions to the community. The event took place at the Rye Arts Center. Among the 5 honorees were Suzanne Clary, Jay Heritage Center, President of the Board of Trustees; Carmen Linero, Don Bosco Community Center; Director of the Food Pantry & Soup Kitchen; Clare Murray, Community Center of Northern Westchester, Executive Director; Judy Troilo, The LOFT: LGBT Center, Executive Director; and the American Women of African Heritage, Inc. ​- AWAH President Francine Shorts accepted the award on behalf of everyone in her organization. 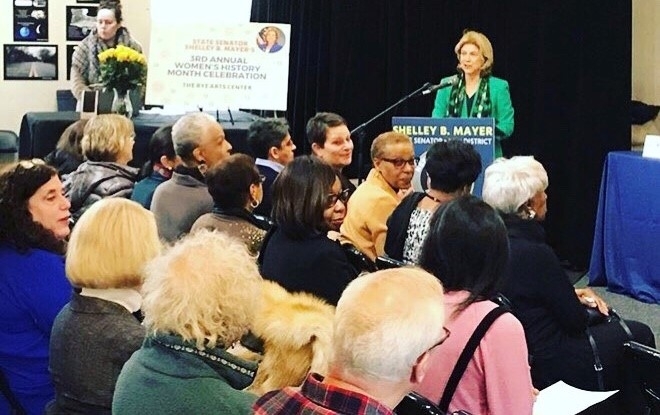 The special event opened with a short video by Lieutenant Governor Kathy Hochul personally congratulating each of the honorees who have demonstrated considerable leadership and visible advocacy for other women in neighborhoods, towns and through Westchester County. Sen. Mayer followed with remarks about the history of women’s suffrage emphasizing the continuing urgency for education and equal opportunities for women. 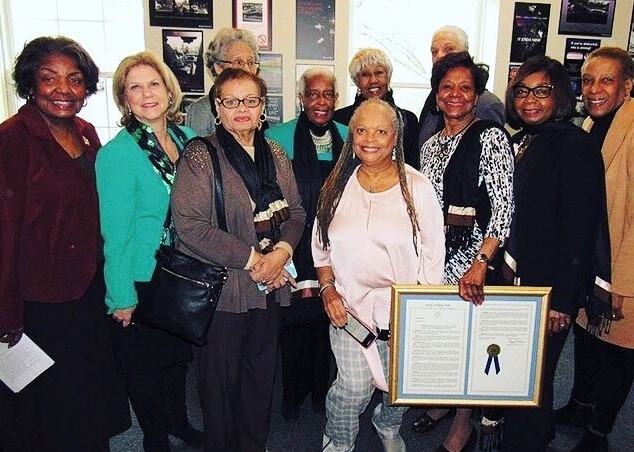 The honorees were then each recognized with proclamations from the NY State Senate, NY State Assembly, Westchester County Executive and Board of Legislators, along with the city of Rye and town of Tuckahoe.